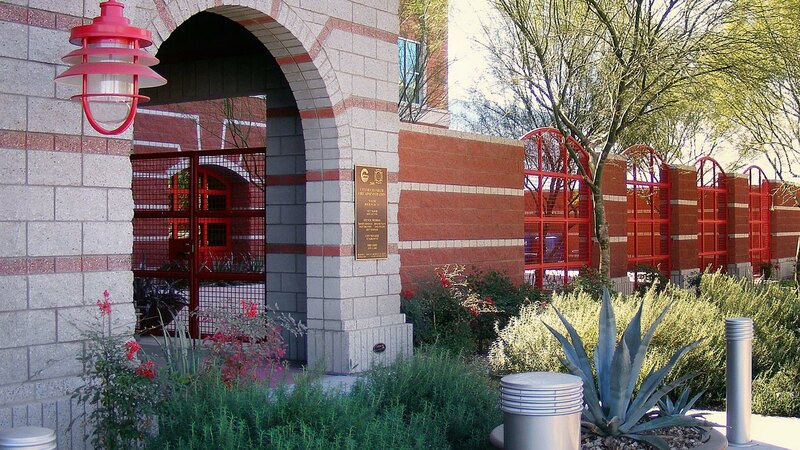 Logan Simpson’s landscape architecture team developed a comprehensive landscape and hardscape design for this Gold LEED-certified project. 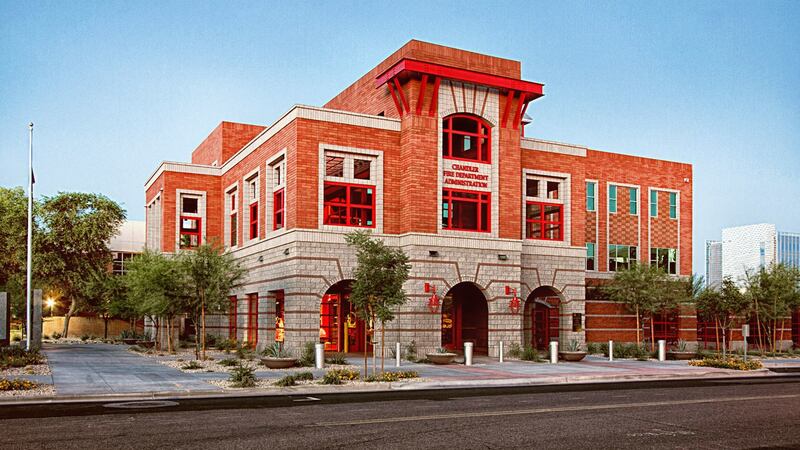 Site improvements included staff/visitor parking; a private staff courtyard; and street-front landscaping. 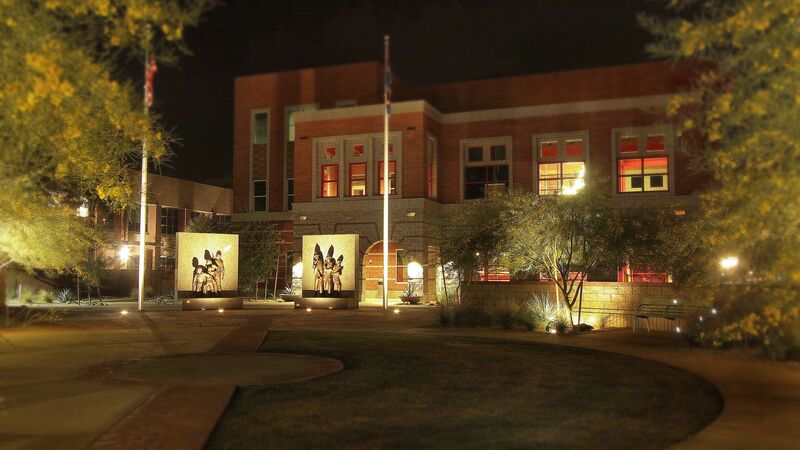 The landscape architecture design features a memorial plaza between the fire administration building and the police headquarters. 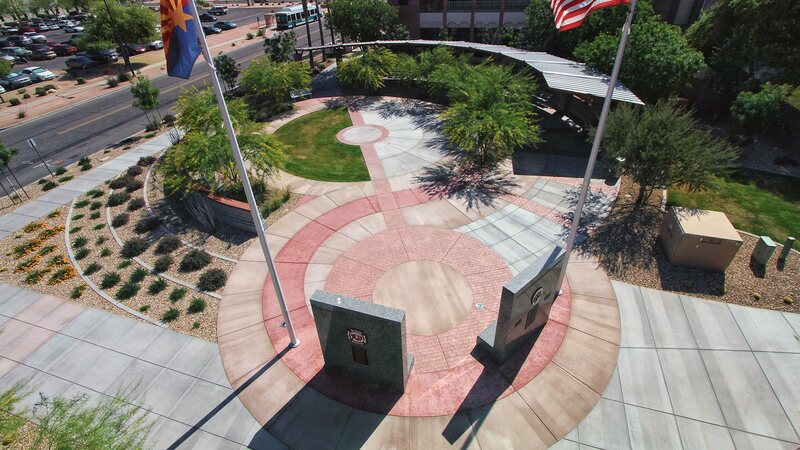 The plaza design merges two circles, symbolizing both departments. Integral colored concrete weaves through the circles toward two memorial sculptures. 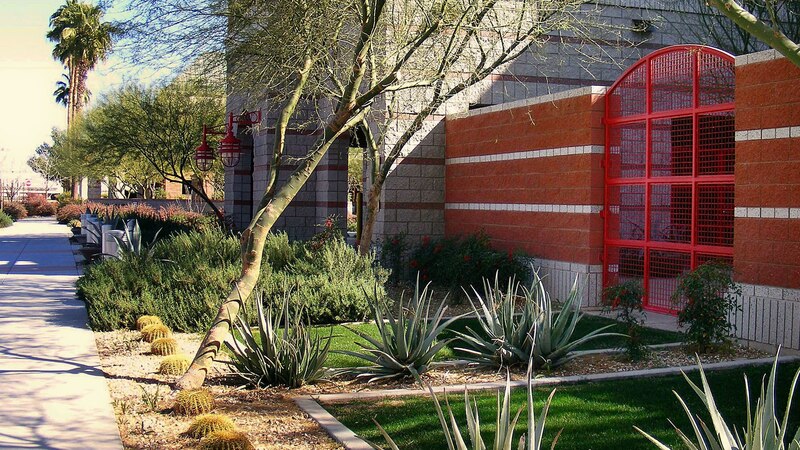 An arbor shade structure, the backbone of the plaza, helps blend the buildings’ architecture. Circular walls frame the views of the memorials, functioning as buffers and providing private seating. Colorful concrete banding designed within the paving helps to enhance the central focus of the space. 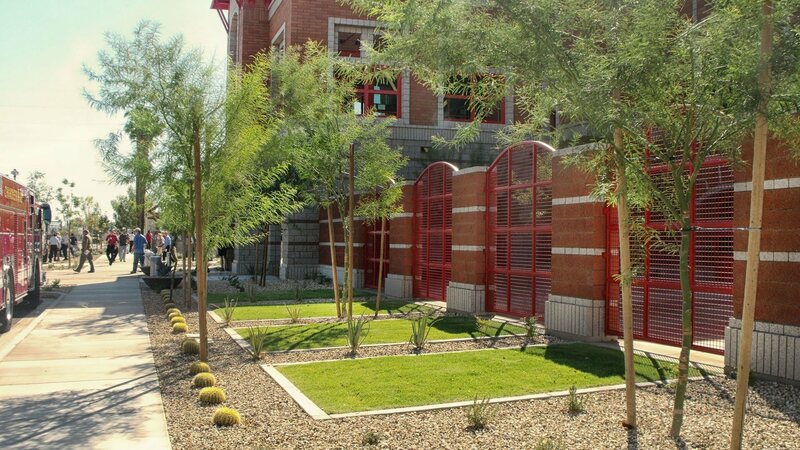 A central lawn area softens the hardscape and provides an intimate feel when the plaza is not being used for large events. In addition, to meet CPTED requirements, plants stair-step back toward walls and building foundations to improve visibility. 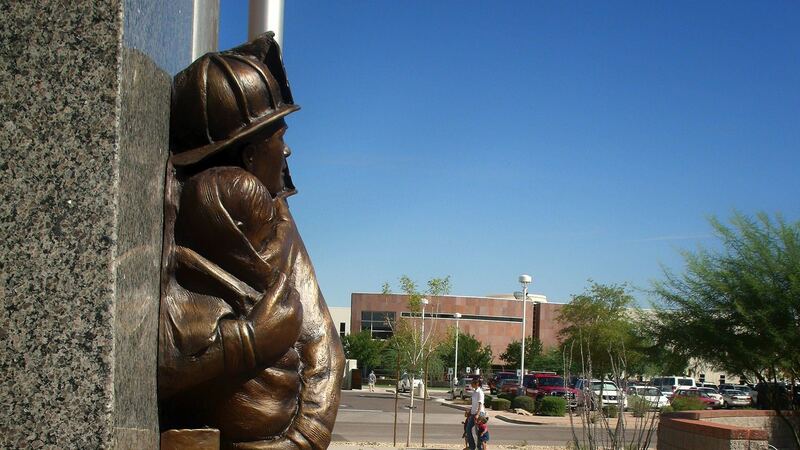 The Memorial Plaza is shared by the Chandler Fire and Police Departments and includes two memorials to the fallen local heroes who lost their lives in the line of duty and those who lost their lives in the World Trade Center attacks.